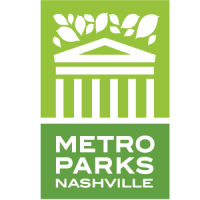 The Nashville Steam Preservation Society received an endorsement of support from Nashville’s famed preservation advocate, Historic Nashville, Inc. Historic Nashville formed in 1968 to promote and preserve Nashville’s historic environment. They have been involved with the preservation and revitalization of several Nashville landmarks including the Ryman Auditorium, the Hermitage Hotel, the Shelby Street Bridge, and Union Station. Union Station, Nashville’s most iconic physical testament to the golden age of railroading, was saved in large part to the efforts of Historic Nashville, Inc. in the 1980s. Representatives of NSPS attended Historic Nashville’s release of their 2016 “Nashville Nine” list this past October. 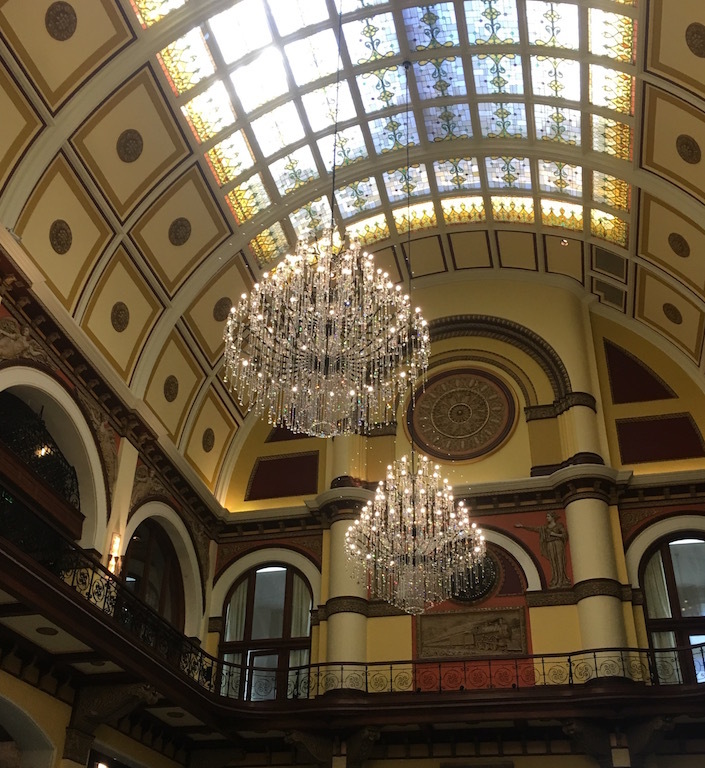 The list coincided with the grand reopening of Union Station Hotel following extensive renovations. An operable No. 576 will certainly add to this rich collection of preservation achievements in our great city. “Historic Nashville, Inc. is proud to endorse this important and comprehensive project that will put an iconic historic artifact to use for the community’s benefit and enjoyment.” NSPS is proud to do our part to keep Nashville unique. Follow the link below to read more from Historic Nashville’s trip to Centennial Park. Help Revive a Nashville Legend! Check out our brand new video promoting our restoration of No. 576! 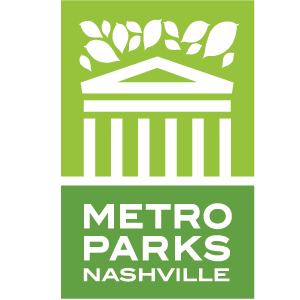 The Nashville Steam Preservation Society announced recently that it will be hosting an open house at Nashville’s Centennial Park from 16:00-22:00 CT on October 14 in collaboration with Metro Nashville Parks. 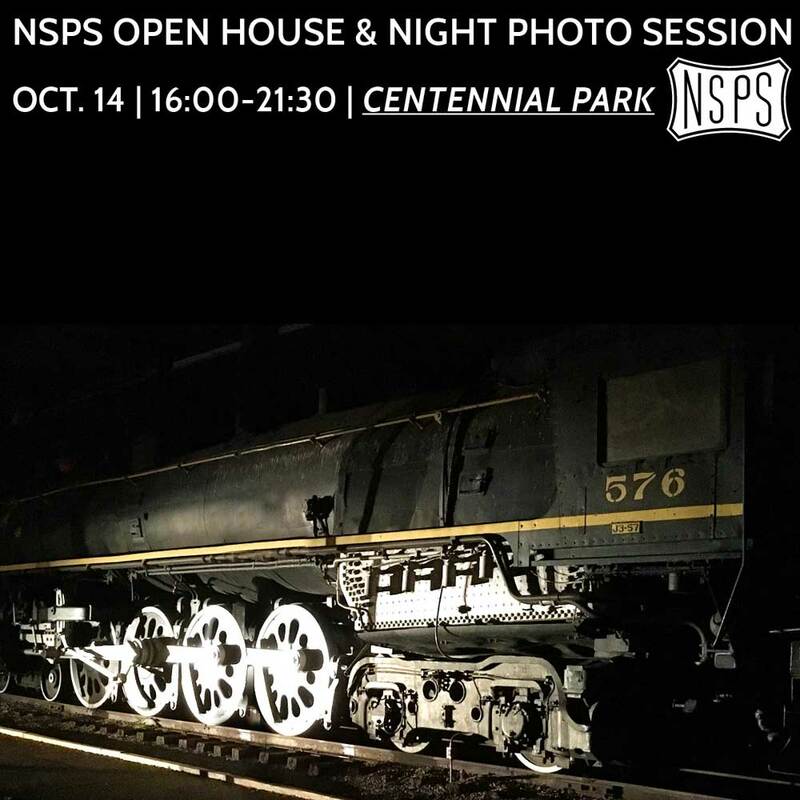 The group is excited to offer the chance for visitors from near and far to meet the Team, inspect the locomotive, tour the cab, and even participate in a night photo session. Already, NSPS and its volunteers have been hard at work preparing the locomotive for the get together. Work has included removing the bell and whistle for cleaning and restoration, vacuuming two-and-a-half 55 gallon drum loads worth of sand from the sand dome, hot water pressure washing the locomotive, and more. The goal is to have the locomotive cleaned up and looking similar to its appearance when placed into the park in 1953. More information and details concerning the NSPS Open House will be released here and on the NSPS Facebook Page approximately one month before the event. We hope to see you all there! WHO: Nashville Steam Preservation Society… and you! 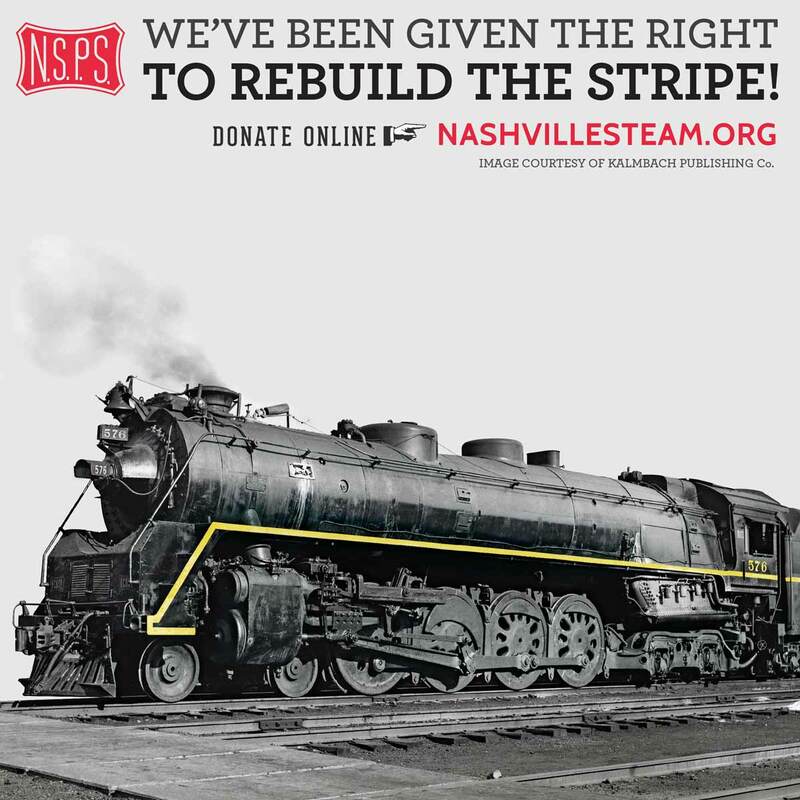 NASHVILLE, TENN. August 17, 2016 • The not-for-profit Nashville Steam Preservation Society (NSPS) and Metro Nashville have reached an agreement to permit the relocation and restoration of steam locomotive No. 576, a 74-year old steam locomotive displayed in Centennial Park since 1953. As part of the 23-year lease, No. 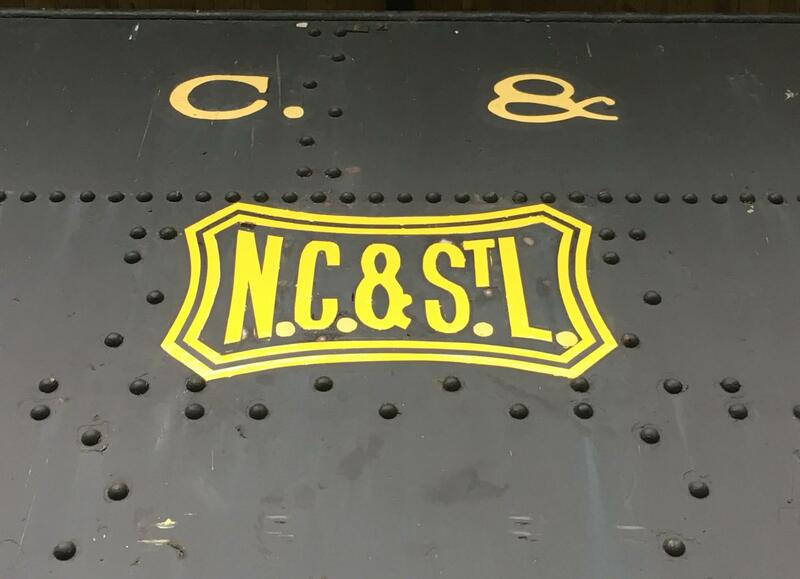 576 will be returned to operating condition and placed in service as a tourist attraction on the Nashville & Eastern Railroad to operate excursion trains out of downtown Nashville. The lease approval follows months of mechanical inspections, community meetings, and research, as the preservation society consulted with the local business leaders, expert mechanical contractors and others. With significant monetary pledges made already, the organization must raise $3 million in order for No. 576 to operate again. The exacting rebuild process will see the locomotive disassembled and reduced to its frame, boiler and driving wheels where it’ll be thoroughly inspected and re-machined as necessary. The rebuilding will take place just a few miles from downtown Nashville. The organization is also seeking an additional $2 million to construct a permanent, visitor-friendly home and facility for the locomotive that will allow for its continued maintenance as well as to provide an interactive educational environment. Retired in 1952, No. 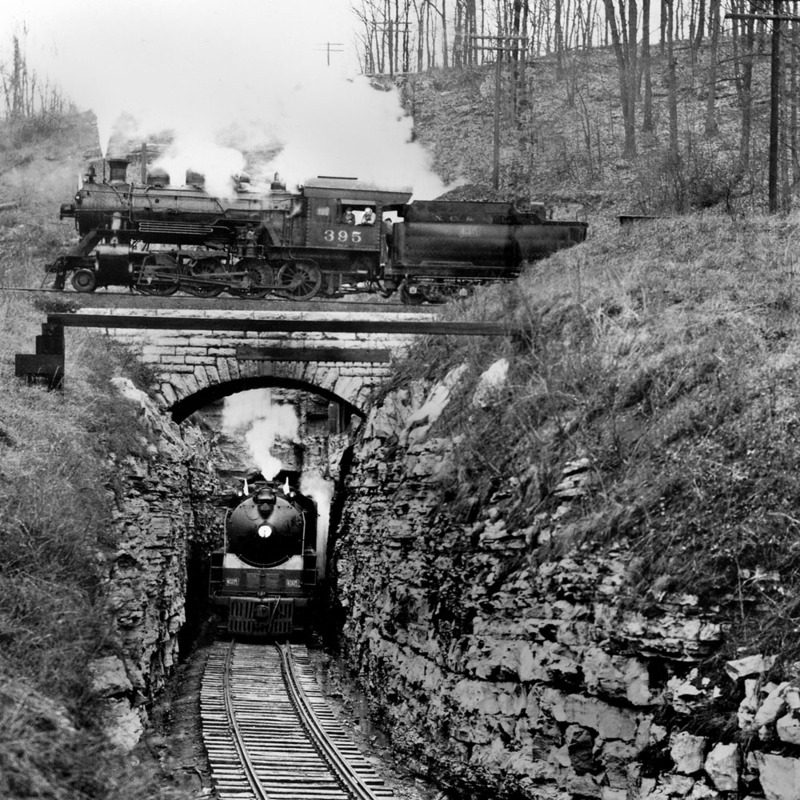 576 was one of 20 J3 Class steam locomotives built for the Nashville, Chattanooga & St. Louis Railway. Recognizable by characteristic streamlining and yellow striping, No. 576 and other J3 Class engines earned reputations as mechanical marvels, capable of speeds over 100MPH. NSPS must raise an initial capital goal of $500,000 before relocating No. 576 to its restoration site. The full Council accepted the recommendation of the Parks, Library and Recreation Committee and approved the second reading of the bill to lease the Class J3 “Dixie” engine to the Nashville Steam Preservation Society. The measure now goes to the Convention, Tourism, and Public Entertainment Facilities Committee, according to society President Shane Meador, who attended Tuesday evening’s council meeting. The panel will review the proposal the afternoon of Aug. 16, before the third and final reading of the bill that evening by the council, governing agency for the City of Nashville and Davidson County. We look forward to seeing one and all on Tuesday, August 16! Yesterday evening we met with Nashville’s Metro Council for the first reading for our bill that will allow for a new and bright future for No. 576. We are pleased to announce that our bill has passed the first of three readings! This bill has been assigned to a subcommittee of the Council for review, and we will be meeting with them prior to the second reading which will be on August 2. Nashville and the rest of the world is one step closer to seeing this mighty, rare, and unique machine turn its wheels once more. Stay tuned for more updates on our website and Facebook pages. Thank you for your interest and support! And remember, after this step to secure the lease is complete, the most important step is one that requires your help! At that time, we will begin our fundraising campaign and offer volunteer opportunities that will enable NSPS to breath new life into the Nashville icon.